Well, we find ourselves at the beginning of summer 2018. 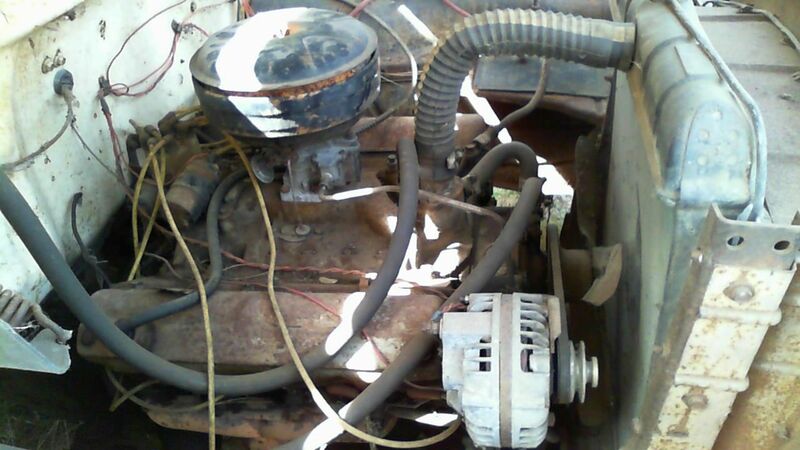 The old 1958 Dodge D100 project is shuffling along. I almost feel like we can see the finish line, but it might be a mirage, as I have said that before. Today the boys over at VR Garage got it back from the painter, where it was clear coated in a satin finish to preserve the patina. I originally was going to patina polish it, but the more research I did told me that unless you are going to store it inside, or pay to polish it every year you are looking for trouble. Also, the polisher has to meticulously polish around the surface rust, otherwise the polishing compound sticks to the rough rusty areas and must be power washed out. There are a lot of rusty areas on this truck (surface only) so I know it would have been a huge project to polish it. The satin finish came out great! I know my friend Erik ‘The Viking” Elbeck is going to trash talk me behind my back to all the hot rod crowd, about what a terrible decision this was, but I can take it. They all think I’m not a real hot rod guy anyways. Wow, sometimes the picking gods shine upon you when you least expect it! 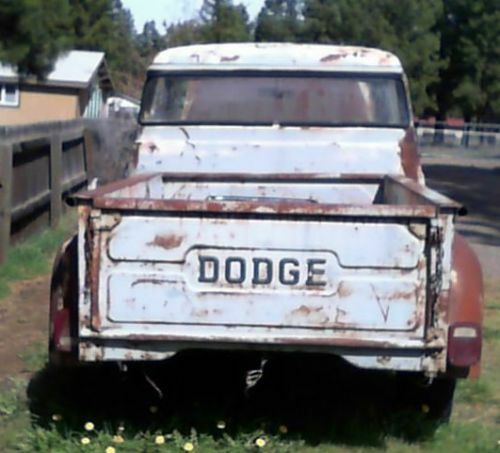 I was obsessed with the Dodge Sweptside pickup and started looking for one about a month ago. None were available at any price I could stay married over, but I cam across a Craigslist listing in Washington State for a D-100 Step side for a really reasonable price of $1000. It needed a restoration, ut the bones were all there. I emailed and emailed the listing and never got a return email so after a week I noticed the lister had added a phone number. 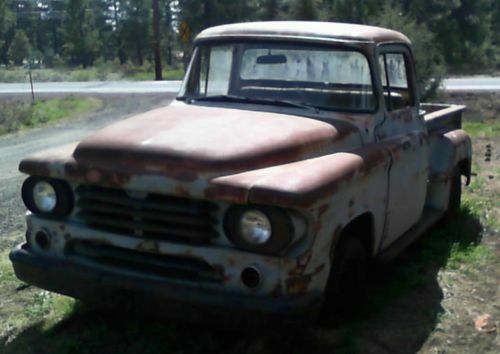 I called him up only to find out that there was a buyer driving up to pick it up in 2 days, but that he would hold it for me as a parts car if I would be interested in buying his Stepside project he had in the garage! 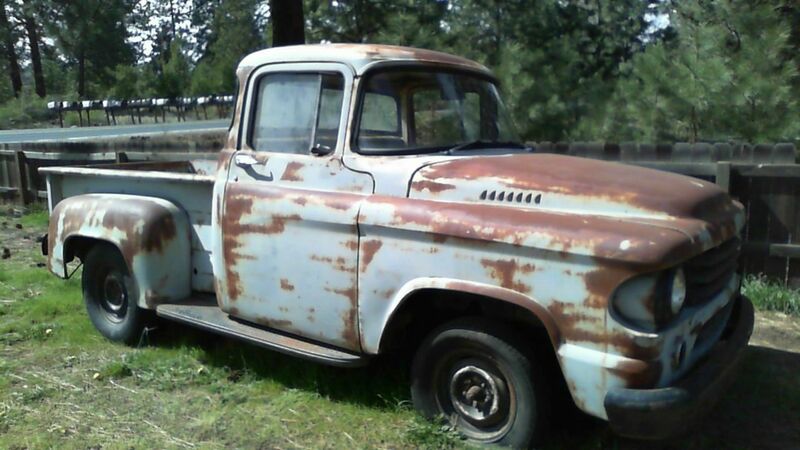 For only $8000 I could buy his parts and pieces and assemble my own Stepside… and then get divorced. I gave up the thought and let the step-side go, thinking that someday I would find another in a field or something and all would be well in the world. 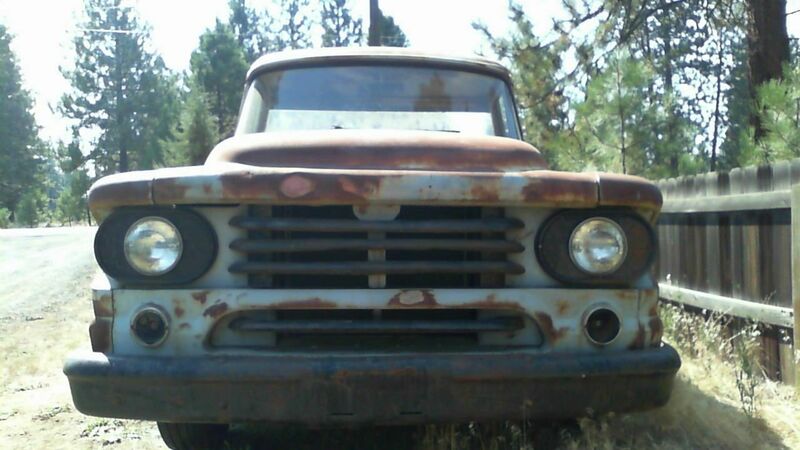 Then my obsession ate away at me and I went over to eBay and put in an alert search for any 1958 D-100 that might come up. 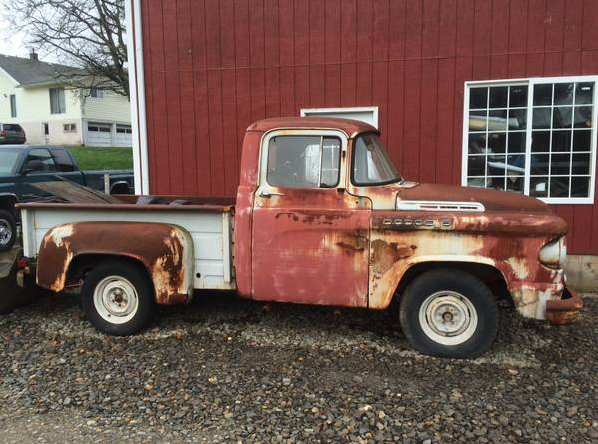 Less than a week later I got a listing alert for a nice 58 Step-side that was rust free and all original and was no reserve starting at $500. Then I looked at the location… and BAM! It was within a mile of my house! I spent the next week waiting and bidding and hoping and obsessing and talking to my wife about this truck I might buy. Today the stars lined up and I won the auction. The wife relented and I will be picking it up within the week. Let the work begin!